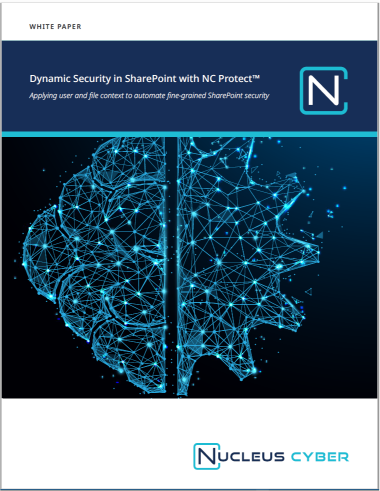 This white paper proposes a new model for SharePoint security that enables collaboration without compromising security. This document will show why dynamic security is so important to secure SharePoint. By reading this paper, SharePoint administrators will gain a better understanding of how they can apply user and file context to drive dynamic policy-based SharePoint security.